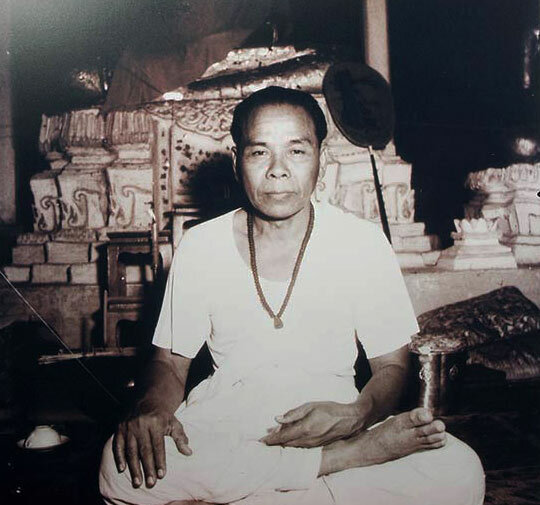 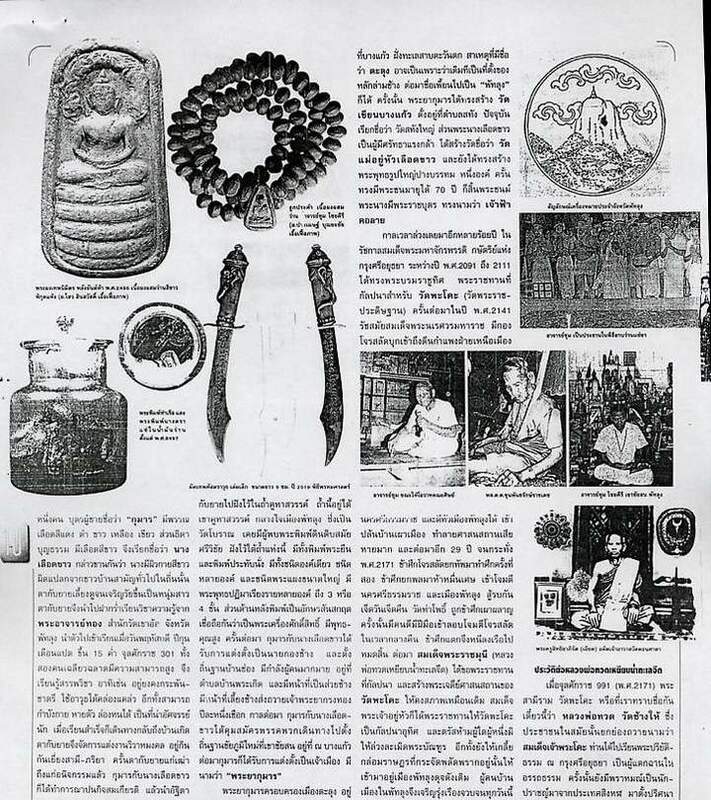 This particular exhibit is a very uniform surface texture revealing a perfectly visible Muan Sarn content, making this an excellent example not only for show, but also for intensive study of the Muan Sarn ingredients present in the Pra Nakprok Taep Nimit Miracel Amulet from Ajarn Chum Chai Kiree. 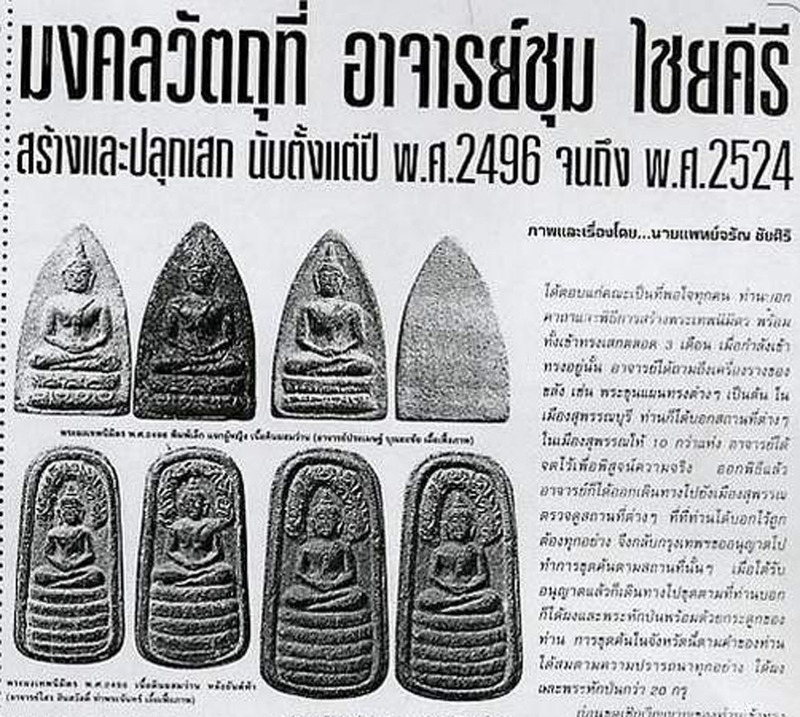 This is an amazingly clear example of the 2511 BE Release 'Pra-Gru' burial chamber version of the 2495 - 2407 release Pra Nakprok Taep Nimit edition. 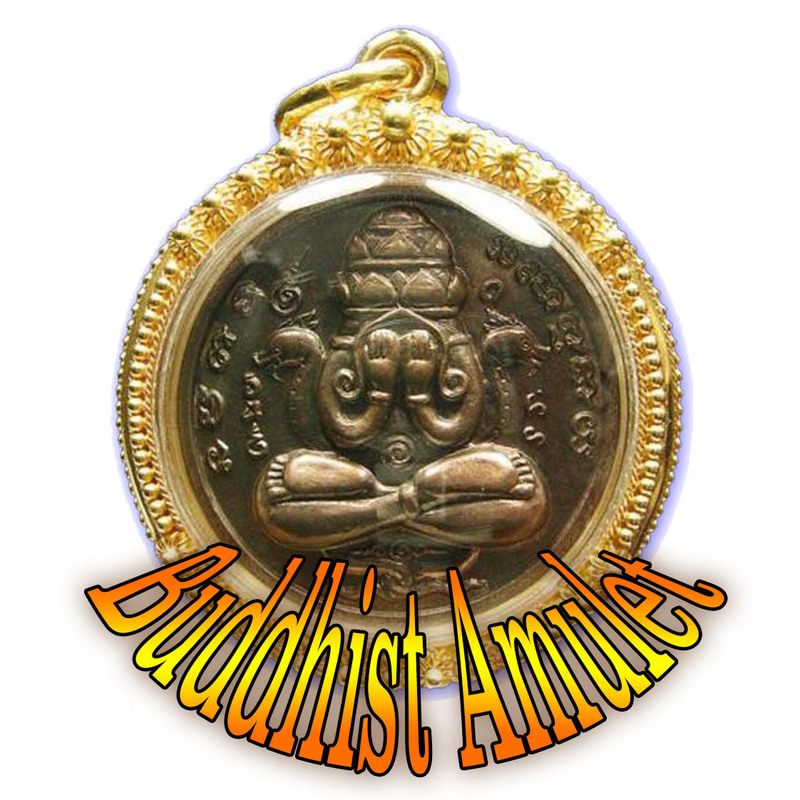 This particular example of Ajarn Chum's famous ancient amulet, is a particularly finely detailed relief, on both the front and rear face, with the Sacred Yantra design of the rear face, being quite clearly visible in this fine example of a classic and most powerful series of ancient hiding place amulets. 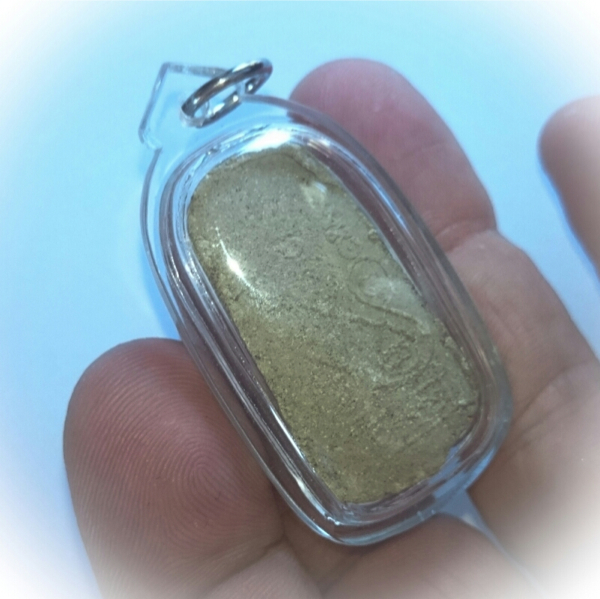 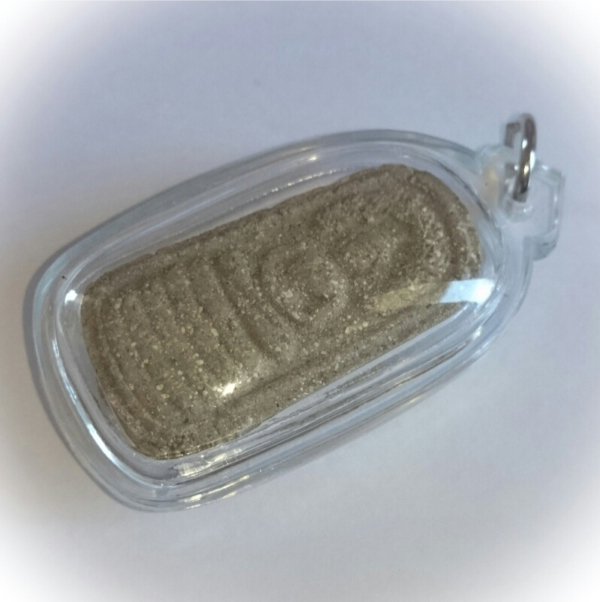 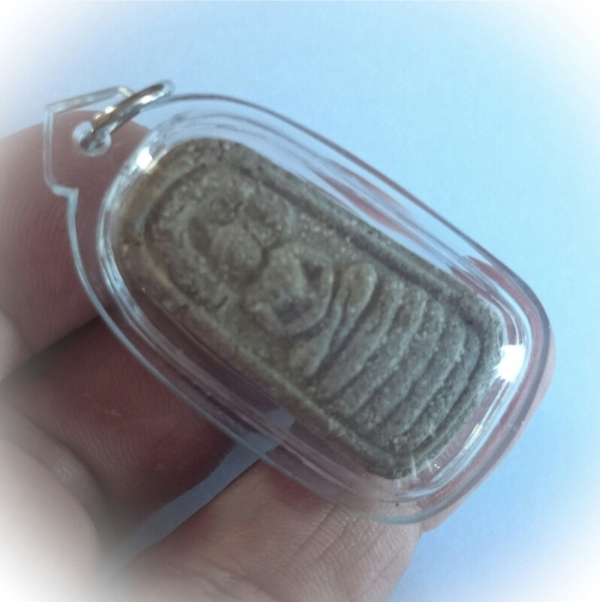 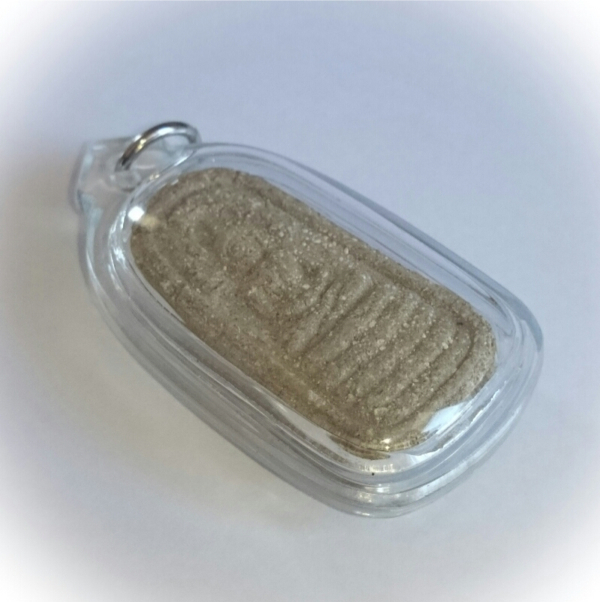 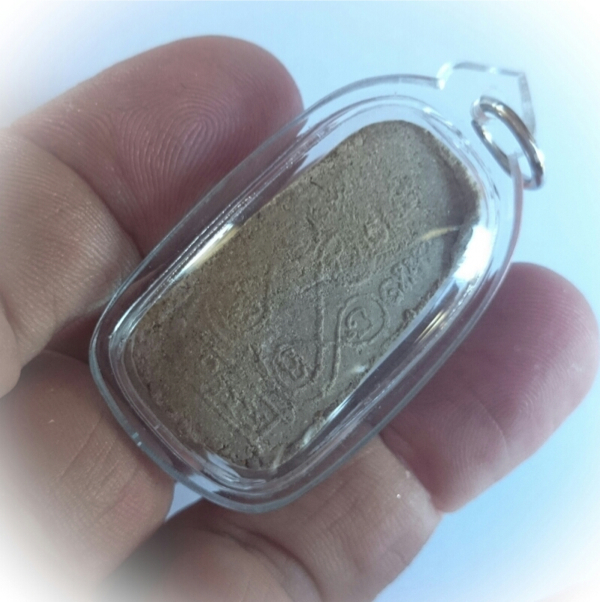 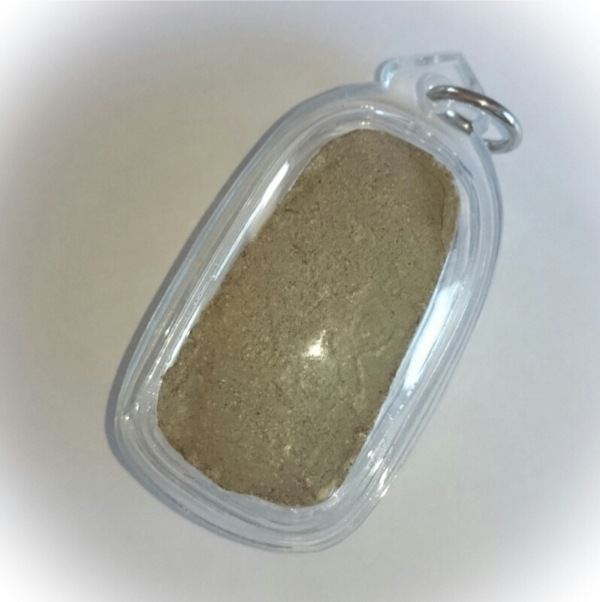 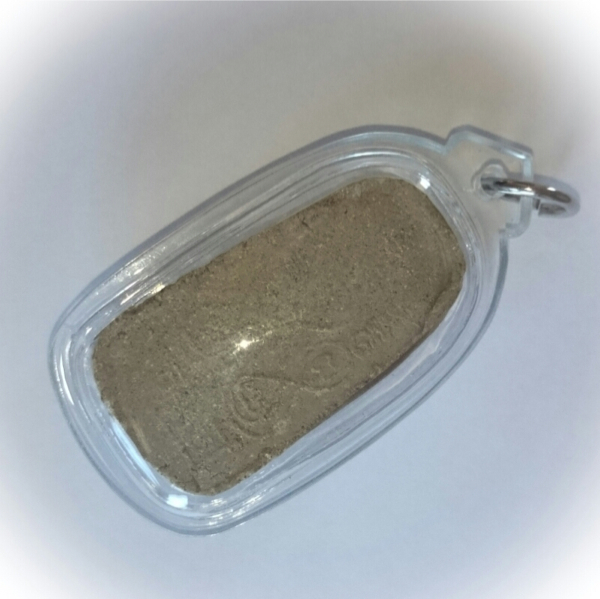 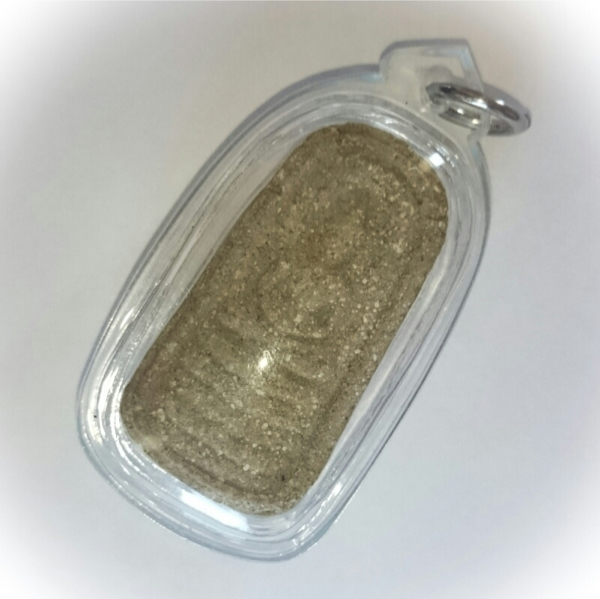 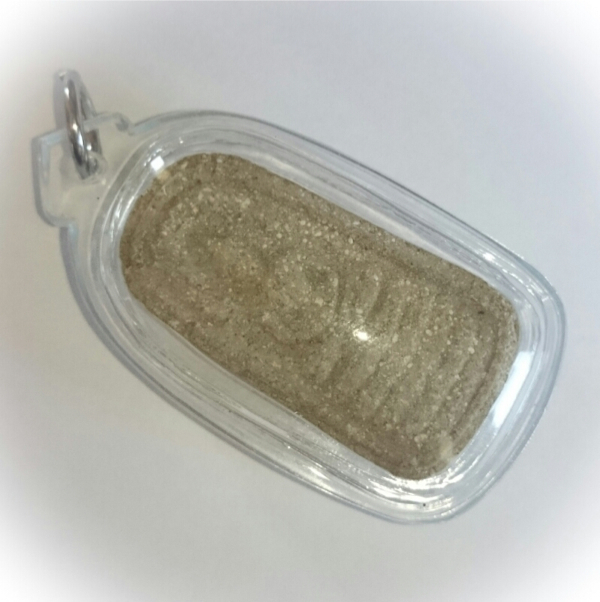 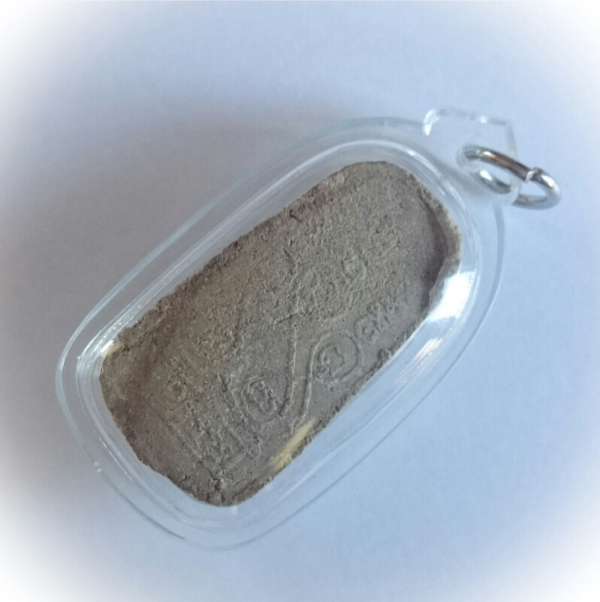 The 'Long Gru' 2511 BE release is a much harder texture, and rough, grayish colored amulet, which looks more like clay, than sacred powder. 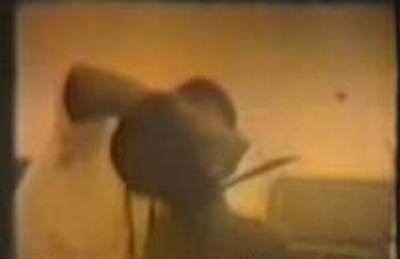 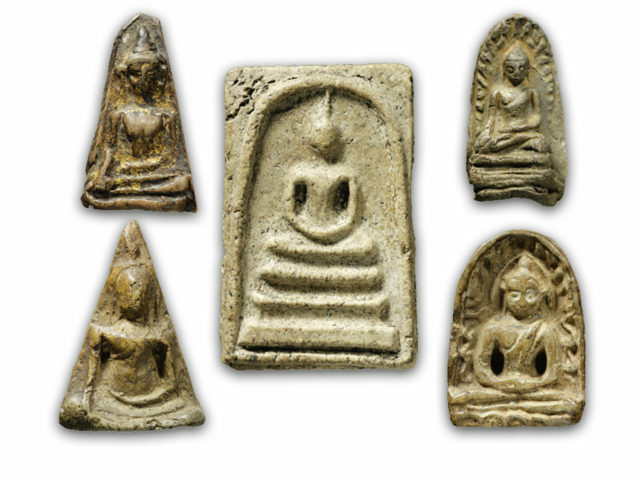 The supply from the Gru Chamber finally were depleted in 2524 BE, as the very last amulets from the 2497 Indochina War edition were handed out.